I had a butternut squash sitting in my apartment for about two weeks. The time had come to do something. 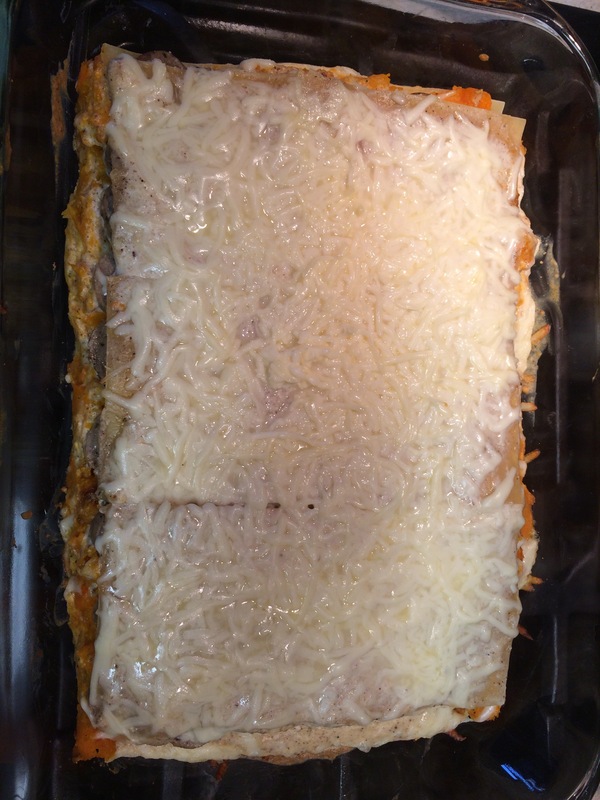 I decided to go for lasagna, but get a bit more creative than the Giada recipe I have used in the past. I decided to do something with the squash and walnuts, so I decided instead of doing plain boring ricotta, to use Ligurian walnut sauce, which is sort of like a walnut pesto popular in the Ligurian region of Italy. I fell in love with it when I visited on of my girlfriends about three years ago. To start, the first thing I did was clean and prep the squash. As I roasted it in the oven, I prepped the walnut sauce. I used no boil noodles and as I was baking I prepped the bechamel. By doing this in stages prep, I didn’t feel a slave to the kitchen, and I made a few other things for lunch for the week ahead. My recipe is not exacting, you can definitely play with quantities. 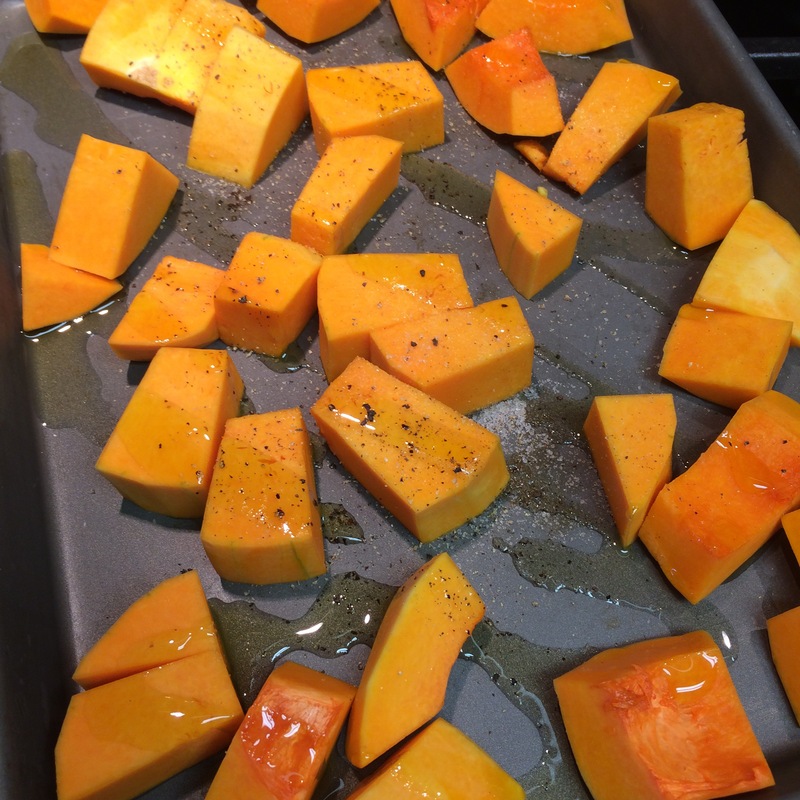 Arrange butternut squash pieces on a sheet pan, drizzle with olive oil, salt, and pepper, and toss squash to coat all pieces. Roast for about 30 minutes or until tender enough to mash with fork. Remove from oven, set aside. Lower temperature to 350 degrees. 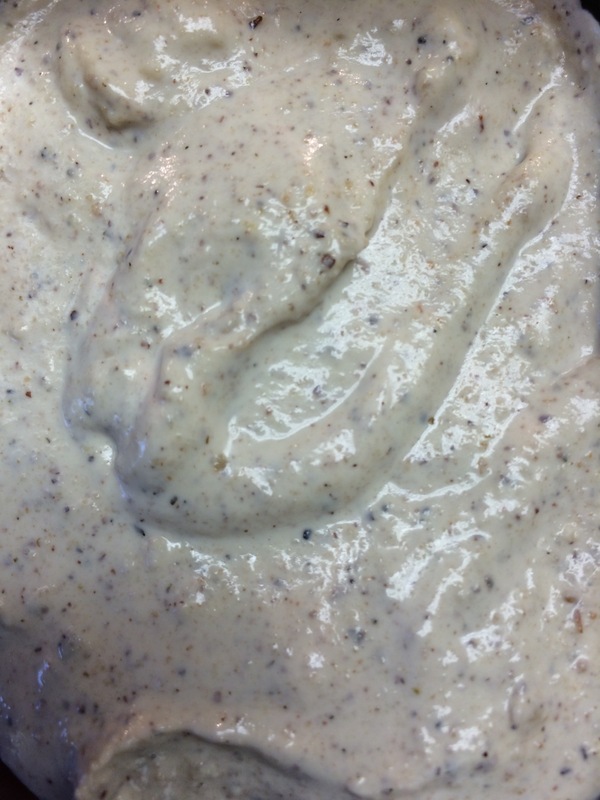 Meanwhile, place all walnut sauce ingredients in a blender or food processor. Blend until ingredients are well incorporated, maintaining a little texture. Mixture will be thick. Divide in half. Take half the walnut sauce and mix with ricotta and egg. Take the butternut squash and place in a bowl, mash with a masher until blended but still a little chunky. To assemble, spread a thin layer of the ricotta mixture on the bottom of a 9×13 inch pan. Top with three noodles. Spread half the squash, top with noodles, repeat. 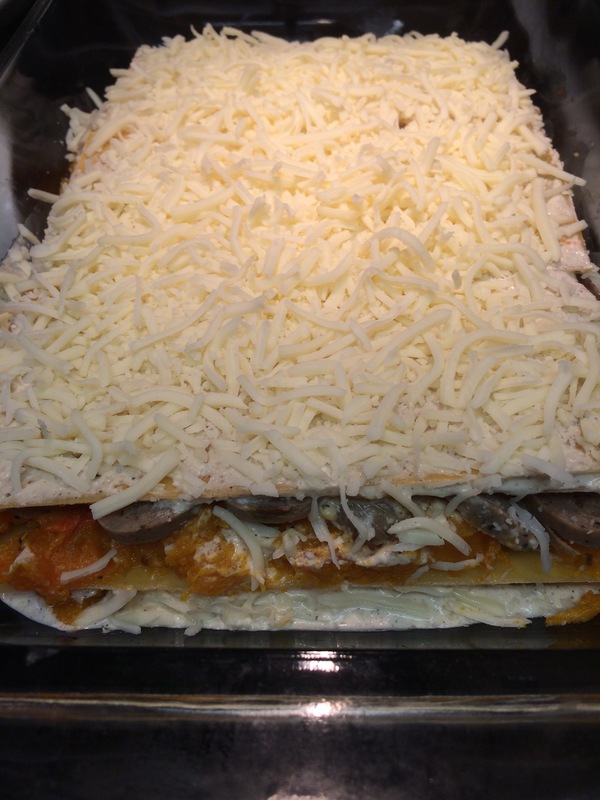 Over the second squash layer assemble a layer of chicken sausage, top with noodles. For top layer, spread remaining walnut mixture and top with mozzarella cheese. Bake covered 25 minutes. While baking, prep the bechamel. In a deep skillet, melt butter and add flour to create a roux. Cook about 3 minutes until well mixed and blonde in color. Add nutmeg and onion powder. With one hand slowly add milk while whisking with the other. Cook about five more minutes until sauce thickens. Add other seasonings to taste preference. 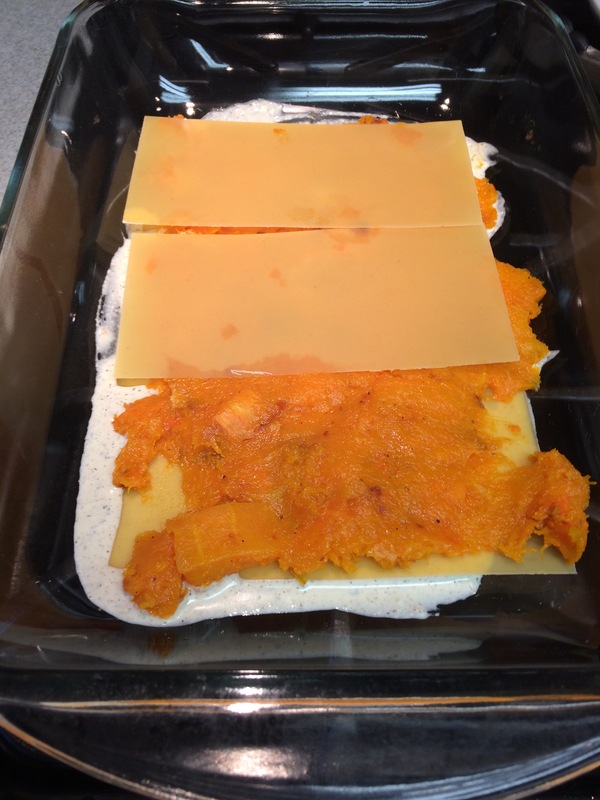 After the 25 minutes, uncover lasagna and add bechamel on top. Bake another 25 minutes until sauce lightly browns. To serve, cut in 9 pieces and top each serving with a sprinkle of walnuts. 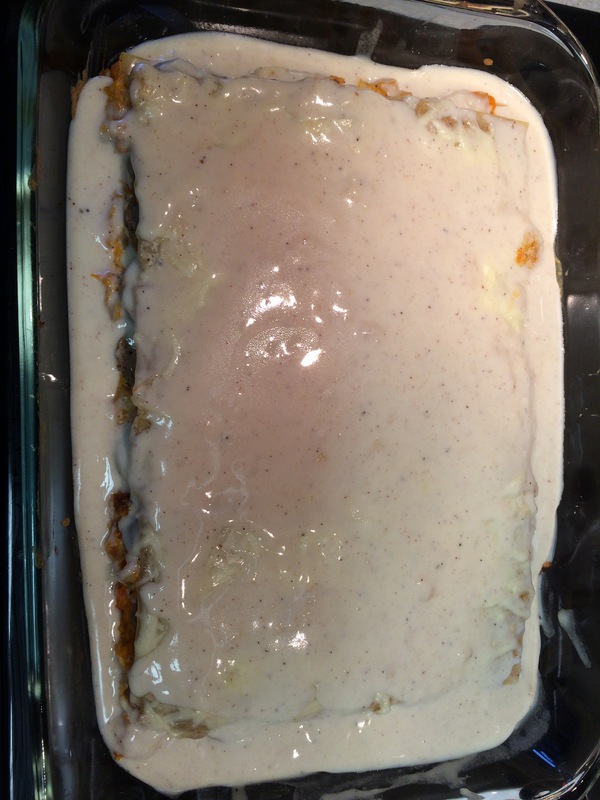 Tip – if reheating leftovers, prepare some fresh bechamel to top on pieces. This entry was posted in what's cooking? 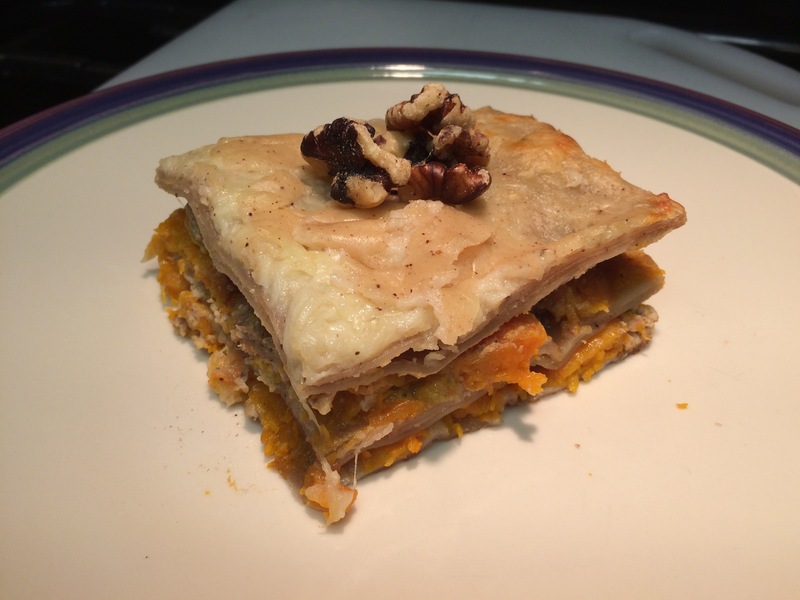 and tagged autumn, butternut squash lasagna, lasagna, walnut, walnut pesto, white lasagna by Anna Papoutsakis. Bookmark the permalink.